So, finally I have also decided not to miss the bus and join the program. For a blogger, it is highly unlikely not to have stumbled across the Dosh Dosh's favourite exchange program, So I am not going into details. But if you wanna know go straight to Dosh Dosh. 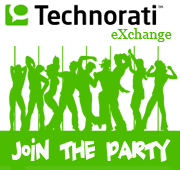 Click here to add me as your Technorati Favorites or use the button on the sidebar of this blog for the same purpose. Then, leave a comment on this post with your Technorati Fav link, so as to allow to add you to my Favorites (simple, give and take!). And finally, link to this post with your post and I would add a link to your blog in this post (only if you are interested in link exchange). Speedup Windows XP in Minutes!